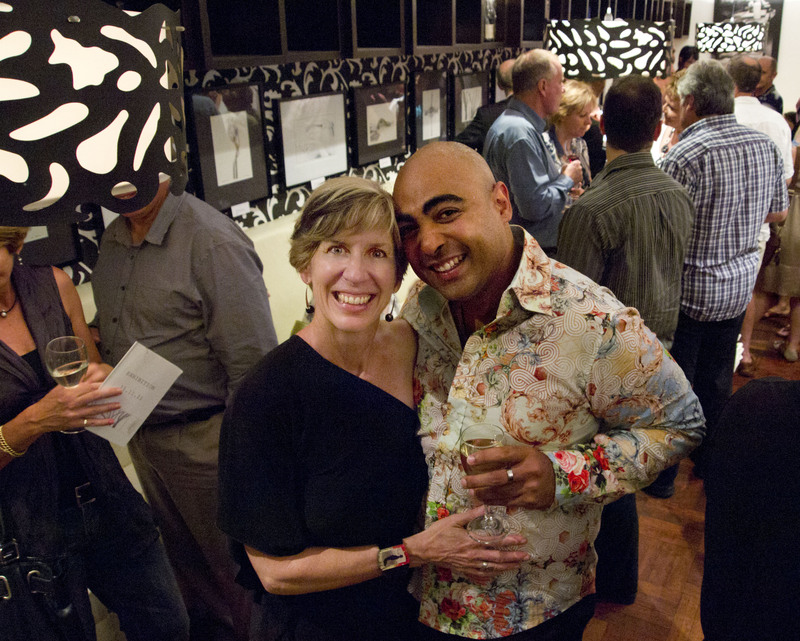 A wildly exciting exhibition was opened last night featuring the first art photography exhibition by AIPP members Jan Ramsay and Mark Schoeman. The show is presented on the premises of Flute Fine Foods @ 380 Cavendish Road Coorparoo in Brisbane. Jan and Mark, as professional photographers and AIPP members, have stumbled upon the ultimate promotional activity in the the form of the art photography exhibition. They have created a convivial environment within the Flute Gallery, they have presented their photographic interests as fine art images of high key flowers (Jan) and female nudes (Mark), they have assembled an eclectic bunch of people and lubricated the conversation with fine wines and good food. Tonight friendships will be made or re-affirmed – participants will propose, make love and feel the joy of living. They will then want their engagements to be photographed, weddings recorded, babies and kids to be documented … The cycle goes on and on. This evening we are all part of that strategy – So look at the art, be inspired. Consider your options for the future need for a photographer – Or – even just enjoy the moment, the present company and the art works presented here that come from the creative urges of these two remarkable people!